Hand crafted leather Humidor by Cuban artists. 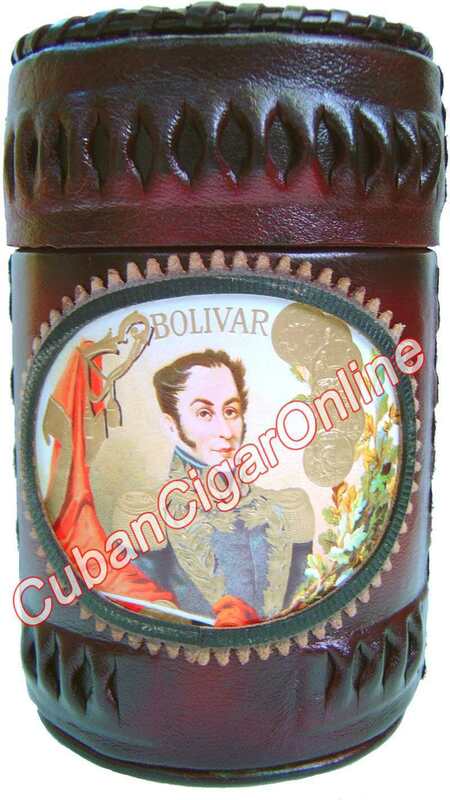 Including 25, (7×47) Bolivar Coronas Gigantes. It’s a balanced, full-bodied cigar with a generous flavor and an aroma of a “first class” Habano. An impeccable roll of tobacco makes this Bolivar Habano a true gem.